Selling a Timeshare? Meet Our Team! If you’re selling a timeshare, you’ve come to the right place. Because we’re the longest-running timeshare resale broker in Europe, our staff have a combined 175 years’ industry experience. Represented in many countries, our function is to sell timeshare products direct to the consumer at a huge saving. We’ve built our reputation on personal service and customer care. No one at the company has spearheaded this continuing initiative more than our sales team. These are the front-line staff members who assist timeshare owners in selling a timeshare using a wide range of techniques. This week, Travel and Leisure Group’s sales team have kindly taken some time out of their busy schedules to let everyone get to know them a little bit better. TLG: What are the questions that customers selling a timeshare most frequently ask you? Sales: “How long have you been in business?” is a common question, and we’re proud to be celebrating our 25th year. “How long have you worked for the company?” is another. Because we have each been here for different lengths of time, we each have particular strengths and ‘niches’ we use in order to maximise sales. “How do we know you are reputable?” is probably the most common question. It is also the easiest to answer, given that we are affiliated with governing body RDO, and all sale monies are held in trust by independent trustees. TLG: Have you visited a timeshare resort? What was it like compared to a non-timeshare resort? Sales: Yes, several members of our team have visited timeshare resorts, such as Club La Costa at the Paradise Club and Sunset Bay Club in Tenerife, Alpine Club in Austria, Marriott’s Village d’Ile-de-France in Paris, and Barnsdale Country Club and Passage House in England to name but a few! We all agree that we prefer timeshare to non-timeshare accommodation as the amenities, facilities, and location always tend to be of a higher standard. Selling a Timeshare is a Team Effort! TLG: What keeps you in the timeshare industry? Sales: All of us love getting to speak with different people from around the world. There’s also a definite sense of achievement when we’ve helped someone selling a timeshare; we love hearing from satisfied buyers! Holidays are many people’s only luxury once or twice per year, so being able to make that happen is a really great feeling. TLG: What do you like about being part of the sales team? Sales: The buzzing atmosphere when we are all selling, achieving and working together to make our customers happy. There’s definitely a fun factor and a sense of camaraderie within the team. We strengthen this even further by meeting up outside of working hours. We’re all friends and we care about each other, and we celebrate each other’s achievements. TLG: If you could stay at any timeshare resort in the world, which one would it be and why? Lora: Sheraton Vistana Resort for a family holiday. It’s close to Disney, and the accommodation and facilities look fantastic. Kellie: Moon Palace in Mexico, because it looks and sounds like an amazing, top quality resort. Paula: The Manhattan Club. I love New York! Really, any city-based resort as I love to be in the middle of the hustle and bustle. Jaime: Royal Club at Palm Jumeirah in Dubai—it looks amazing! Gary: Bushman’s Nek Berg and Trout Resort in South Africa. The views look absolutely spectacular. Heather: Marriott at 47 Park Street, because it’s probably the grandest timeshare in the world and I’d love the experience! So if you’re currently looking into selling a timeshare, now that you’ve met the friendly Travel and Leisure Group sales team, don’t hesitate in contacting us at your next convenience. 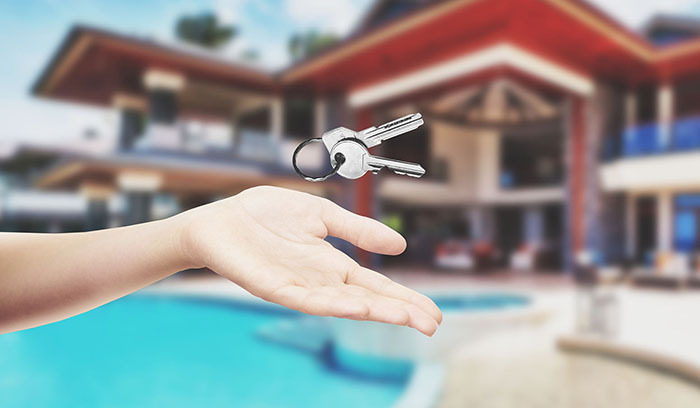 With over two decades’ experience in timeshare resale, you couldn’t be better taken care of.